WASHINGTON—Yitbarek Syume, 51, of Silver Spring, Maryland, Berhane Leghese, 47, of Arlington, Virginia, and Amanuel Ghirmazion, 53, of Hyattsville, Maryland, were indicted on bribery charges on October 1, 2009, by a grand jury sitting in the United States District Court for the District of Columbia, announced Acting United States Attorney Channing D. Phillips and FBI Assistant Director in Charge Joseph Persichini, Jr. The indictments, unsealed today, allege that Syume, Leghese, and Ghirmazion, conspired to bribe the Chairperson of the District of Columbia Taxicab Commission, who was working with the government in an undercover capacity, to obtain licenses for multi-vehicle taxicab company licenses. According to the indictment, the defendants made a series of bribe payments to the Chairperson totaling approximately $220,000. If convicted, Syume, Leghese, and Ghirmazion each face up to five years’ imprisonment and a fine of up to $250,000. Acting United States Attorney Phillips and FBI Assistant Director in Charge Persichini further announced that 37 individual taxicab drivers were also indicted on bribery charges on October 1, 2009, by a grand jury sitting in the United States District Court for the District of Columbia. The indictments, unsealed today, charge that the defendants conspired with the chairperson of the District of Columbia Taxicab Commission to obtain individual taxicab operator licenses. According to the indictment, the taxicab drivers made a series of bribe payments to the Chairperson totaling approximately $110,000. If convicted, the defendants each face up to five years’ imprisonment and a fine of up to $250,000. 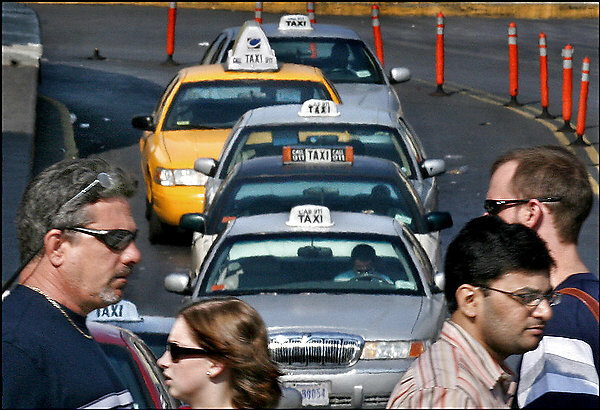 “Licensing of drivers isn’t just about money and bribes, it’s about how safe you are when you get in a taxicab in downtown Washington,” added Joseph Persichini Jr., Assistant Director of the FBI’s Washington Field Office. The indictments were the result of a two-year long, wide-sweeping investigation into the taxicab industry in Washington, D.C. Twenty-seven defendants have been arrested so far pursuant to the indictments in this case, and five search warrants have been executed. The cases will be prosecuted by Assistant U.S. Attorneys John Crabb Jr. and John Griffith.